We arrived in Rome at the perfect time and with perfect weather. Of course, we take a taxi from the airport because, from what I've heard, you don't want to drive in Rome. I mean, they are all outstanding drivers BUT its terrifying; I say outstanding yet terrifying because I thought I was going to die every time I stepped into a taxi but thankfully didn't. In fact, my best friend Rachel Lamb has a great blog on transportation in Italy. You can check it out at RachelLambBlog.com. Also, most of our photos are taken with the Fuji x100 you see below. So I'm going to make this super easy; lets start with the prep. We actually did about 10 days out of the country with time spent in Rome, Florence, Cinque Terre, Venice and Barcelona, Spain. Rome was massive and I would say you need at least 3 days there if you plan to travel around the country. It's a big city with many beautiful neighborhoods. We decided to stay in Old Rome AKA The Roman Ghetto AKA The Jewish ghetto. There you will find a charming city tucked away staying true to its ancient roots. All the roads are still cobblestone and people dine outside with their wine and wonderful pasta dishes. It's still, of course, touristy but you don't feel like a tourist. I felt like just another local wondering around my home town. The streets are full of vendors, music and the smell of pizza! There are also other neighborhoods such as Stazione Termini and Esquilino with plenty of hotel options in the city, Monti where you can have a great shopping experience at top notch boutiques and visit beautiful churches, Celio with the giant colosseum right at the heart, Vatican City - although it is an entirely different city/state of rome its perfect if you want to split your time with visiting the Vatican and exploring rome, and a few others but those are where I would recommend if you only have 3 days. If you want to find the best neighborhood for your style and travel needs, I suggest the Walks of Italy Blog for the best neighborhood in Rome for your visit. As far as hotels go, I searched for days for the perfect hotel for 4 people. It was a a very charming place in the heart of the Jewish Ghetto. We had a great view with a wonderful breakfast thats's available out on the rooftop every morning. So now that you have an idea of where you might want to stay, lets get into how you are going to fit everything in to 3 days. If you're anything like me, you didn't sleep on the plane and when we arrived, I was quite tired. We checked into the hotel, went straight to bed and woke up around 2pm. That's when we heard Rachel and Lucas weren't going to get in til later that evening, which meant we were going to have a bit of a rest day. So how to you get some good stuff out of a rest day? You eat and walk around. It's the perfect way to burn off those carbs while enjoying Romes beauty. We got up and went for a walk around the city. We were able to walk around while the sun went down and really enjoy Piazza Navona. We had dinner at this great restaurant down the street from the hotel, where we ate pasta and drank wine. We got to watch the sun set while walking along the St. Angelo Bridge and saw some beautiful statues that are just, you know, hanging out along the street. It was a beautiful day and very romantic. I also suggest traveling in active wear. I was much more comfy walking around after a long flight in active wear. The weather is perfect but comfort makes all the difference when you're exhausted. After our walk, Rachel and Lucas arrived so we all went downstairs to grab a bottle of wine and totally had a second dinner. Oops. Honestly, walking around the city and having dinner and drinks on the street is a wonderful way to see Rome for a day if you are on a budget. I guess this day would be for the ones trying to save a bit but also see the beautiful architecture Rome has to offer. There are plenty of places to see without having to spend on a entrance ticket. There is also a coffee bar on every corner, and if you haven't heard, the coffee in Italy is to die for. DAY 2 - The Vatican and Instagram pics! This was our first full day in Rome with our friends and we actually woke up early! YAY for us! oh and btw make sure to check out Rachel and Lucas Lamb's Instagrams! They are probably the cutest couple I've ever met. Anyways, we got up early and made sure to take lots of pictures that I'll make sure to include at the end. I'm sure we all love to have our Instagram's on point and man, pictures in Rome does that to your Instagram. Since we are on the topic of Instagram, day 2 was the perfect day to get in some great shots. We felt well rested, refreshed and ready to take on the day. We made sure to wear something that would look great all over town from morning to night. We knew we were going to be out all day and didn't want to change. Jeans and a white T seemed like a good choice. OK, so from the top, BREAKFAST! Coromandel is a wonderful spot in the Jewish Ghetto with delicious food. I ordered the Eggs Benedict with salmon. After breakfast walk towards the Vatican. I say this because it gets very busy as the day goes on and the lines can be long. We got extremely lucky and had a very short wait. Also, we didn't know this ahead of time but, the pope was there giving a speech and, by total chance, we were able to hear the pope speak. I know that may not be cool to some but we were pretty excited. I mean, the pope! Anyways, we walked through the Vatican in awe and loved every minute. It was beautiful and grand and definitely something worth seeing. Here is a helpful tip about the Vatican, make sure to visit the actual website for information. While walking to the Vatican we were approached several times by different men saying that they were offering "front of the line entrance tickets" and that we needed to follow them if we wanted to avoid a line of 2 hours. Good thing Joe, my husband, had been there before and experienced this particular scam so we dodged that bullet, but sadly there were quite a few tourists that were coughing up money they didn't need to. Of course, we got to the ticket booth and absolutely no line. Crazy right?! If you do follow them they basically take you to the front where the entrance is and ask for $60 bucks for them escorting you. They don't give you tickets or help you through the line. They also like to block the entrance and don't move unless you basically move them yourself so be brave and walk right through them up to the main entrance. Once you're past that, everything is great! I recommend setting aside a solid 5 hours to visit. There are so many things to see and you'll be happy you set the time aside. Lastly, make sure to visit the Vatican and the Colosseum on separate days. It is a lot of walking and your feet will thank you for it. Now that you've seen the Vatican, time for pizza, drinks, and a wonderful walk through the city, in that order. Rachel and I don' t eat dairy but wanted pizza. Rome was the best place for marinara, garlic basil pizza; absolutely no cheese! The restaurant we went to is located on the north west end of Piazza Navona, 4 Fiumi, and if you eat outside, you can people watch. After pizza, go for a nice walk. We decided to walk towards the Pantheon and on our way there we found a local bar we were hearing great things about. It was a great place with signature drinks and complimentary snacks. This bar is a great place to stop and have a drink before continuing your journey to the Pantheon. Don't forget to get some picture there either. very Instagram worthy. After having a drink at Collegio, we walked straight to the Pantheon. Good thing we did too because the sun was starting to go down and we really wanted to get some good photos of giant Pantheon pillars. Its free to look but does cost to enter. Honestly, we were a bit tired and wanted to get back to the hotel because we knew we had another long day ahead of us, so we opted out of the tour. Instead, we grabbed a latte from a corner coffee bar, walked to the hotel, and grab a big bottle of wine to share. We decided we were hungry when we got there and sent the boys hunting. Rachel and I were still on a solid workout routine, so while the boys hunted, we went to the gym. Our husbands are pretty amazing and came back with vegan pizza! For all those vegans out there, make sure to visit VIP pizza! It was about a 20 min walk from the hotel and open till 4am. After dinner we called it a night. And that, ladies and gentlemen, is day 2. Today, our last day in Rome, we decided to take advantage of the free breakfast at our hotel. If you get up to the roof early enough you can catch the sunrise. Continental Italian breakfast is delicious and surprisingly filling. After filling up on continental goodness we made our way towards the Colosseum by foot. Mostly because this was an entirely new route and we were going to pass by some old roman ruins on our way to the Colosseum and knew there would be opportunities for photos. So again, make sure to visit the official website for the Colosseum. There are a lot of people standing outside waiting to take your money and not let you in, basically scammers. Scamming tourists is just something people like to do. I'm sure it happens everywhere but be aware. Go straight to the line, its usually not very long, and purchase your ticket to enter both the Colosseum and Roman Forum. The Roman Forum is probably the best place to take your Colosseum photo. You are going to want to give yourself about 4 hours to visit both places comfortably. After the Colosseum and walking around the Roman Forum we grabbed a taxi to head towards the best coffee shop in Italy, Romeow Cat Bistro. It's not a quick walk and not a 5 minute drive but so very worth it. 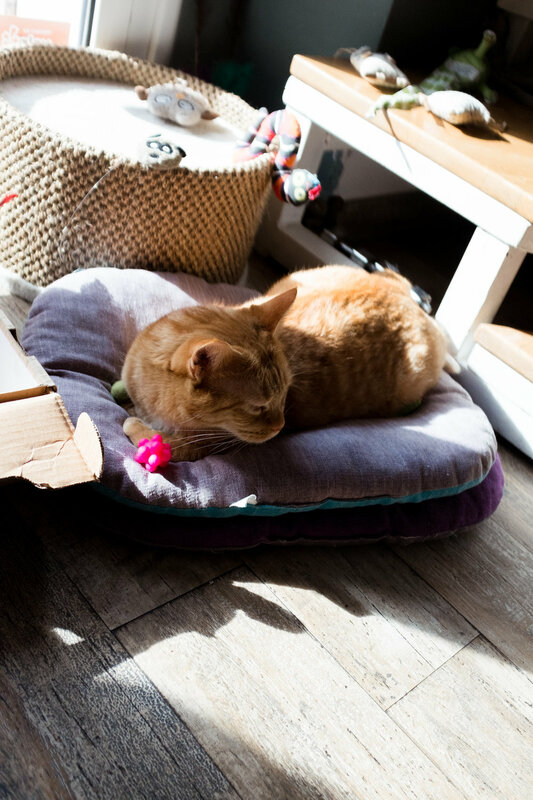 Its about 20 minutes outside the city but if you love great coffee and enjoy kitties you will fall in love 10 different times at Romeow. We had dessert and lattes and spent time taking pictures of the cutest little babies in Rome. If you could believe it we were actually still hungry after dessert, lattes and wine. We left the bistro and headed back towards town for more food and to get ready to leave. That was it. Our 3 days were coming to an end. We ate our way through Rome, visited the Vatican, saw the Pope, walked through Colosseum and the Roman Forum, and had wine, wine, and more wine with all the Instagram pics to show for it. The food was amazing, the people were welcoming, the language was beautiful and I can say, without a doubt, Italy is my favorite country so far. 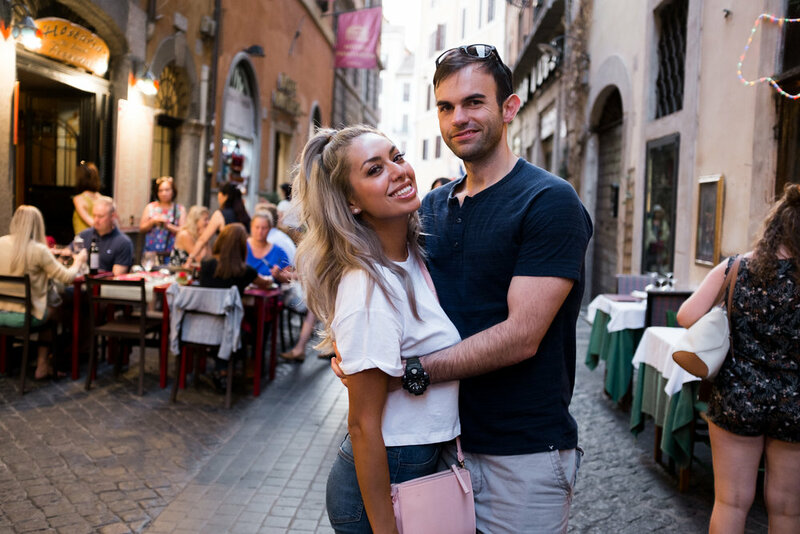 We went over how to do Rome on a budget, how to stay out all day while getting some very Instagram worthy photos while avoiding some scams, and getting a great photo of the Colosseum and don't forger to visit the cat bistro. I had an amazing time and that's how we did Rome in 3 days. Make sure to leave a comment and let me know about your stay in Rome or what you plan on doing when you get there. I'd love to visit again and catch anything we missed. Last, but not least, CLICK HERE the Fuji camera we used on our trip if you want to catch similar photos. It a point and shoot, perfect for traveling and easy to use.